Las Vegas – UFC, the world’s premier mixed martial arts organization, today shared final results from UFC FIGHT NIGHT: BISPING vs GASTELUM, its first-ever event in mainland China. The event took place on November 25, 2017 at the Mercedes-Benz Arena in Shanghai in front of a sellout crowd of 15,128 and marked the country’s largest ever Mixed Martial Arts (MMA) event. The fight night drew more than one million live views on PPTV, China’s leading sports media provider, and an additional one million in Video On Demand (VOD). 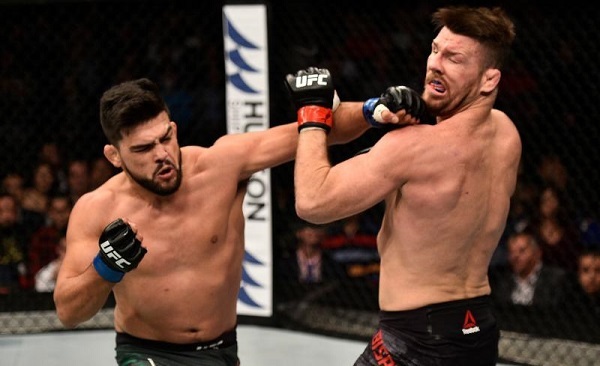 UFC® FIGHT NIGHT: BISPING vs GASTELUM also aired globally across UFC’s digital streaming service, UFC FIGHT PASS®, recording the largest live-viewing audience of an Asian FIGHT PASS event to-date. The event’s official hashtag, #UFCShanghai, garnered more than 46 million reads, making it the top trending sports hashtag in the country that evening, and surpassing the legendary Mayweather vs. McGregor boxing match. Eight of the 12 bouts featured Chinese athletes, with five notching victories including strawweight Yan Xiaonan, featherweights Wang Guan and Song Yadong, and welterweights Li Jingliang and Kenan Song. Jingliang and Yadong also each took home $50,000 (USD) Performance of the Night awards. UFC traveled to 14 countries this year, and the event in Shanghai was one of 10 new stops for the organization – a year that saw the global brand’s fan base grow to a record 278 million in 45 measured markets. The event also marked the sixth sellout of the year. UFC has recorded seven sellouts in 2017, with others including: UFC® 208: HOLM vs. DE RANDAMIE at the Barclays Center in Brooklyn, New York in February; UFC® 210: CORMIER vs. JOHNSON 2 at the KeyBank Center in Buffalo, New York in April; UFC® 212: ALDO vs. HOLLOWAY in Rio de Janeiro, Brazil in June; the organization’s debut in Edmonton, Alberta, Canada in September for UFC® 215: NUNES vs. SHEVCHENKO 2; UFC® FIGHT NIGHT: BRUNSON vs. MACHIDA in São Paolo, Brazil in October and UFC® 218: HOLLOWAY vs. ALDO 2 at Little Caesars Arena in Detroit, Michigan this past weekend. UFC’s international growth trend will continue into 2018 with new stops already announced for the first quarter including first-time visits to Belem, Brazil and Perth, Australia.